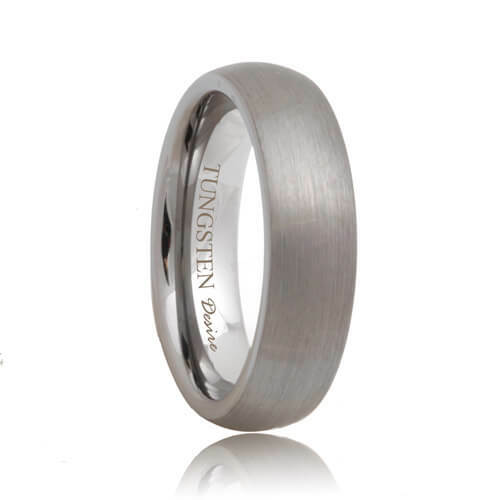 The Minneapolis tungsten wedding ring is perfect for anyone wanting a subtle and durable ring. 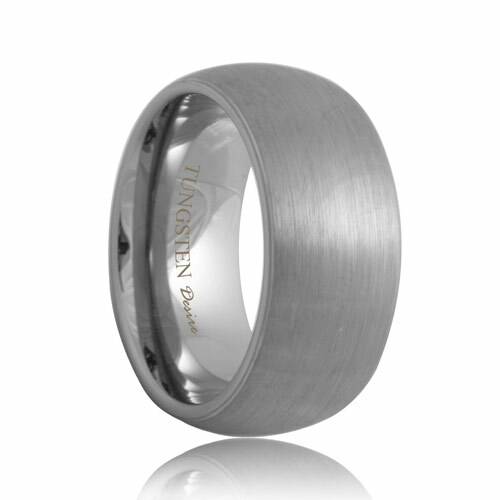 We added a satin finish to the plain round tungsten wedding bands. 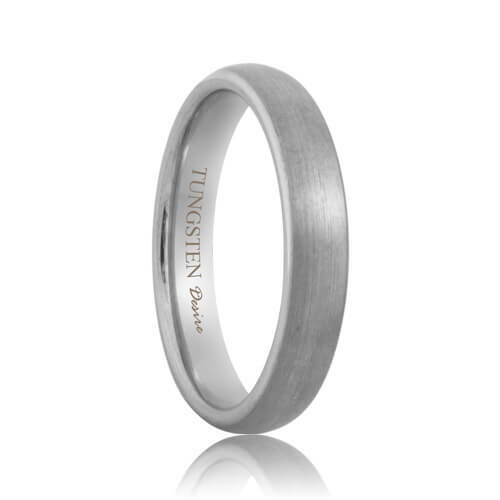 The satin finish gives the plain round tungsten carbide wedding band a soft and subtle look. 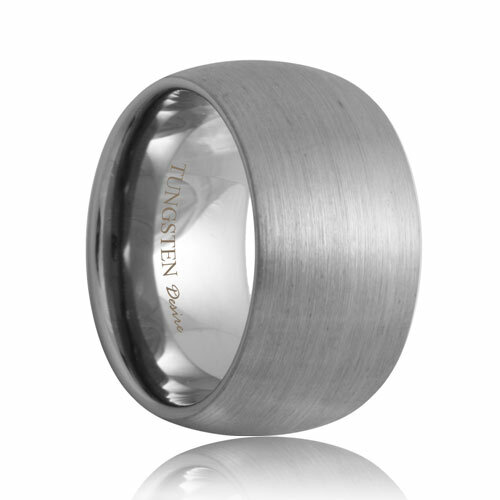 Rings with a satin finish emphasize the scratch resistance and durability in tungsten. Satin finish is quickly exploding in popularity and will soon be the most popular style. Most sizes ship within 1 business day. Free Lifetime Warranty and Lifetime Sizing; pay no restocking fees or deductibles! I purchased this ring in the 6mm size for my fiance & we absolutely love it! Very sophisticated & classy. The quality & craftsmanship are great! My fiance is really picky about not having the ring weigh a lot & this one does not weigh much at all. The delivery time was very quick. I ordered the ring on a Friday & received it at my doorstep on Monday! The couple times I called customer service, the gentleman who answered the calls was very knowledgeable & friendly.....made me feel that my business was important to them - great service! I highly recommend this company! Here I was, one week before my wife's birthday and I had not birthday present. I knew she wanted something shiny but I had no idea what to get her. Then I stumbled upon Tungsten Rings & Co. The website had answers for every question I could think of. After a little research on the website, I knew exactly what I was looking for. It only took me a few minutes to make the purchase. 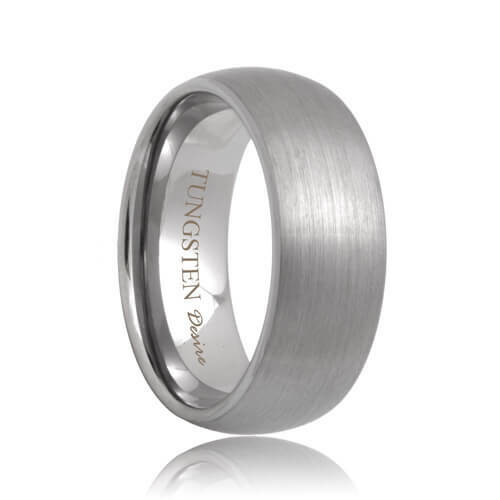 I liked my experience with Tungsten Rings & Co. but what really impressed me was the ring itself. The ring, when we received it, was quite breath taking. I hardly ever post comments on my purchases but this time, Tungsten Rings & Co. deserves the high praise it gets from me and their other customers.